Loving little boys who look like adorable little farmers in their blue jean overalls and walk into school all by themselves without even holding Mommy's hand and walk straight into their classroom without crying or even looking back. It did make Mommy a little sad on Friday that he didn't seem to need me, but I was so proud that he was so happy and loves school that much. He really just seemed to understand that he is not being abandoned and that we will come back to get him. 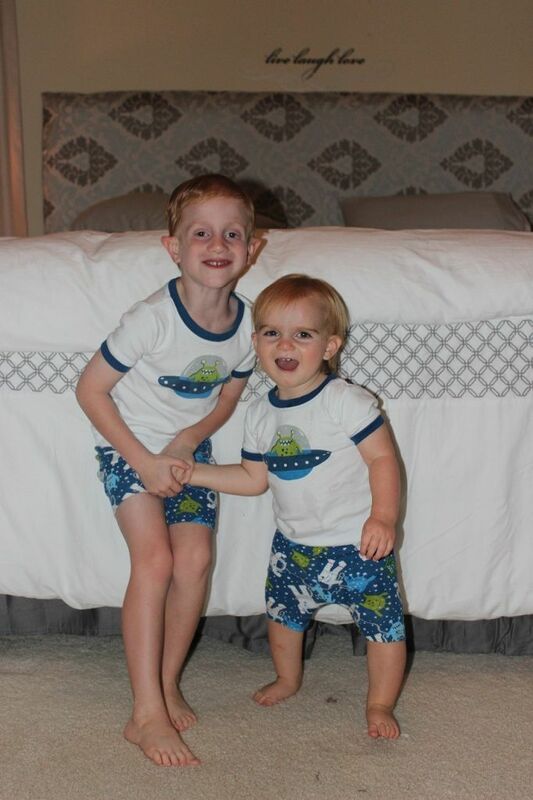 Loving brothers wearing matching spaceship alien pajamas and looking so cute and smelling so good after baths. I could just cuddle them all night! I think space theme clothes are my thing. I just can't resist them! Loving hanging out with Evan's new school friend, Alex. I am so happy he has already made a new friend, and we enjoyed helping him celebrate his birthday. 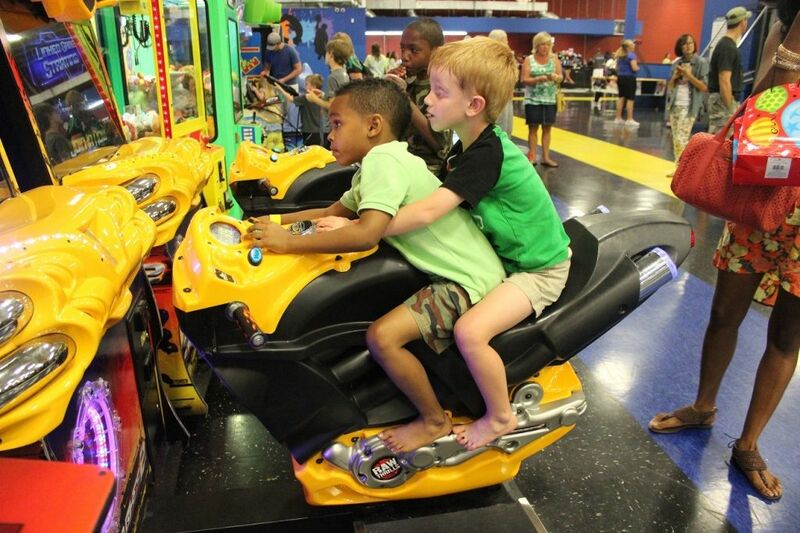 I hope Evan doesn't decide he wants a motorcycle one day though. Loving big boys making big jumps on the trampoline. We tried out a cool new place in town called Sky High. 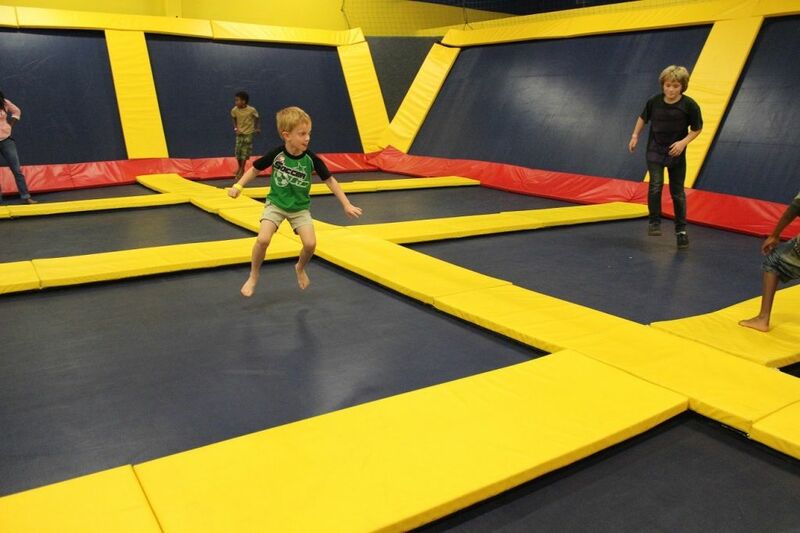 It has these big trampoline "rooms" for lots of jumping fun. 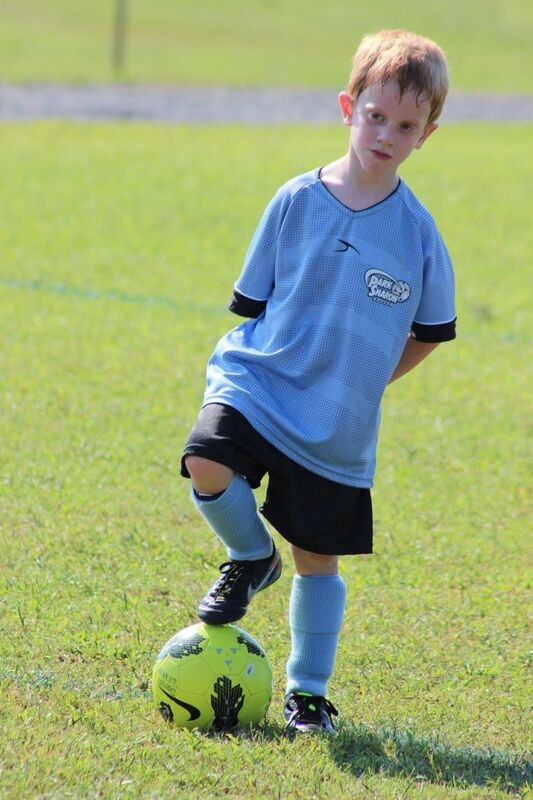 Loving handsome little soccer players who had another great game on Saturday! I lovin' that you had a great weekend. 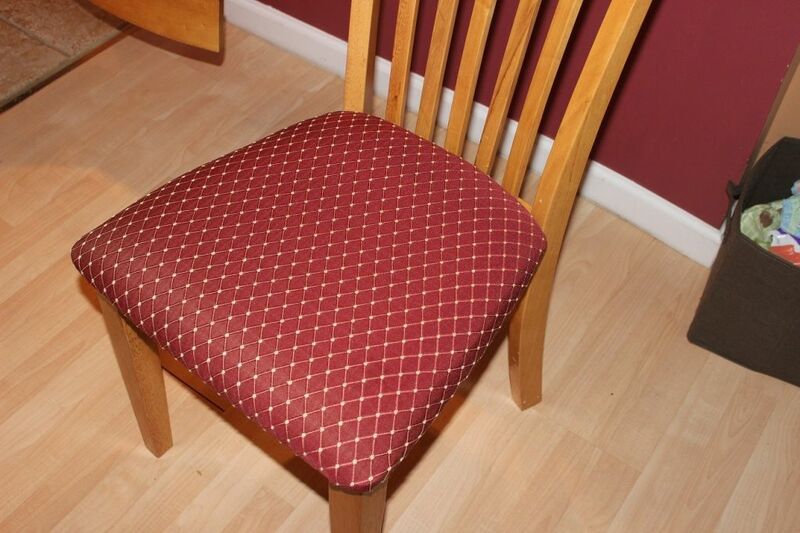 I'm not lovin' that I STILL can't see the chair pictures. Boo. 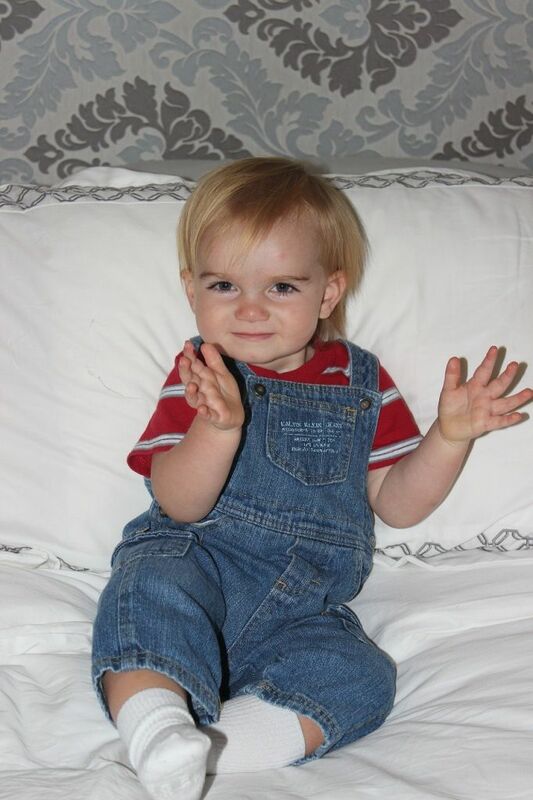 And Brody is pretty cute in his overalls. So sweet! And with two kids of the same gender you can do matching clothes which look totally adorable :) I'll have to work on finding matching outfits for Sam and Rachel. Wish me luck! I love the matching jammies. I feel like we need to live it up with the matching while we still can because someday (probably soon) Evan and Spencer are going to put their feet down and say NO! Seriously! I am pretty sure they will not want to match when they are teenagers. Hehe! He had what in mommy's tummy? Brody's 1st Day of "Preschool"